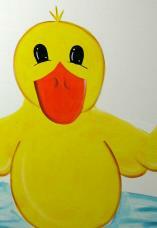 for kindergarten readiness and promoting a sense of community in the classroom. Children in the Teddy Bears Room each have their own Center-provided cot. Nap time follows lunch. Children nap until rested which is usually 1 hour. The Teddy Bears Room has participated in local field trips that include a visit to a Pumpkin Patch, Apple Picking, NJ Children's Museum, Children's Theatre at Kean University, Crayola Factory, Turtle Back Zoo and the NY Aquarium. Not only are these field trips fun, they offer an opportunity to extend the classroom outside of the walls of our facility. Children's Circle has also been the host to "guest" attractions such as a Petting Zoo, Chick Hatching Program, the Reptile Guy and a Glass Fuse Art specialist! 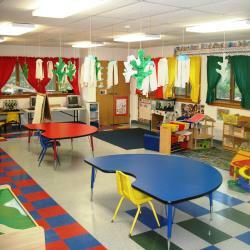 The Teddy Bears Room is centered around preparing your child for kindergarten. In addition to nurturing your child's emotional, social and cognitive growth, we focus on your child's ability to write their first and last names, to recognize the letters of the alphabet and match letters with their beginning sound, and to identify numbers and counting. We teach your child how to correctly hold a pencil and to safely use a pair of scissors to cut along a line. We help your child memorize their address and phone number. We also encourage your child to express how they are feeling and to ask for help. In addition to the January and June written feedback of your child's progress, the Teddy Bears teachers offer parents a face-to-face conference in the Spring to discuss kindergarten readiness. The lead teacher in the Teddy Bears Room is Ashley Danese. Ms. Ashley holds a BA in Education. Ms. Kelly Steinert is Ms. Ashley's assistant. Leave the apples whole for your child to see, but then peel, core and quarter the apples so that the pieces they cut are soft and manageable. Cut the pieces into small chunks and put into bowls. When the apples are all cut, add the juice, sugar and spices to the bowls and then transfer into a large pot to cook slowly on the stove. Let the mixture simmer uncovered for about 40 minutes, or until the apples are soft enough to mash easily with a fork. Let the apples cool a bit before transferring them back into the large bowls so that your child can mash them with the potato masher. Chill, then eat. Enjoy! Measuring, pouring, texture changes, liquid conservation, cause and effect, introducing heat to a substance, proportions and directions of following a recipe, prediction and experimentation, are all at work here and make cooking with children a rich and exciting experience.